stop by and grab lunch from one of the amazing Food Trucks you will only find at our Year Round Farmers Market! 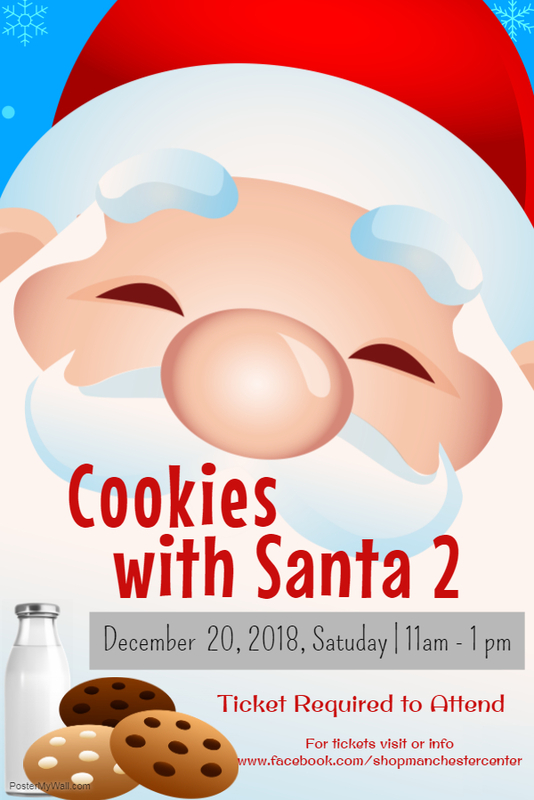 Join us for a quality time with the guy from the North Pole! No need to dress up, no need to worry about posing or annoying flash! No photos will be taken until after 2 pm to ensure quality time isn’t interrupted! The First Central Valley Cali Reggae festival is going to be an amazing festival for the community. 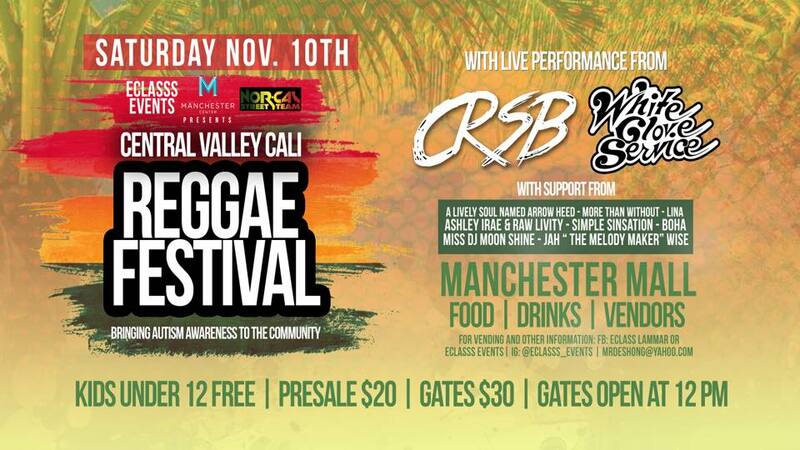 Eclasss Events will be bringing u Nine reggae bands With CRSB FROM THE BAY AREA AND FRESNO OWN WHITE GLOVE SERVICE leading the way .Lots of food truck vendors Drink ,merchandiser vendors . Autism is growing in America and we need to be educated on it. Kids under 12 Are Free . 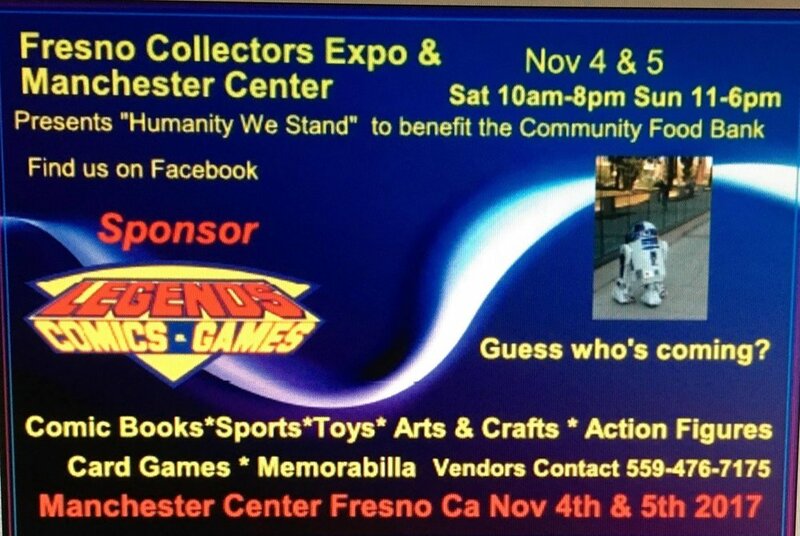 So please come out and have fun enjoy it with your family and at the same time learn more about autism.. Get your tickets now there $20 but will go up to $30 November 2nd and will $30 at the gate ..
Manchester Center in partnership with Telemundo 51 Fresno, Radio La Unika Mexicana and all of the community vendors. We are so EGGsited for Easter, we are sure your kids are too!! 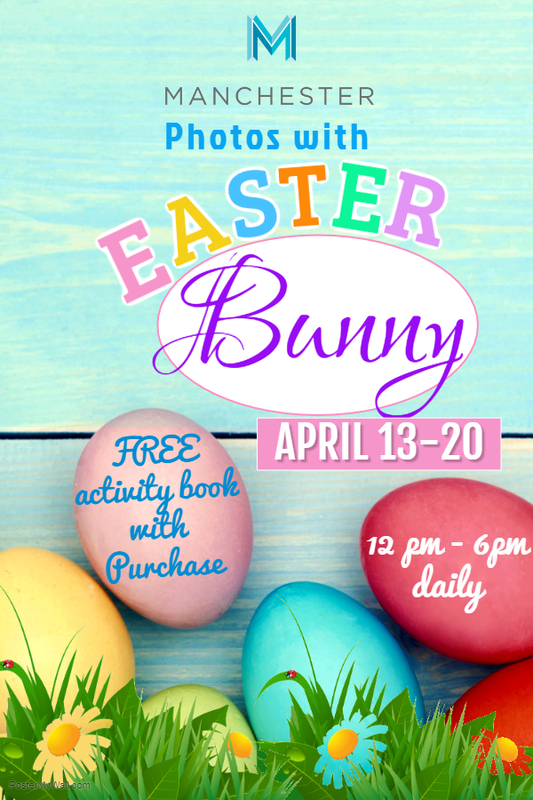 Spring weather is perfect for Family Fun & Entertainment! Join our friends from Movimiento Latino, Mega TV, Radio La Unika Mexicana, El Sol Azteca & iCall as they host a Community Event for families in the Central Valley. 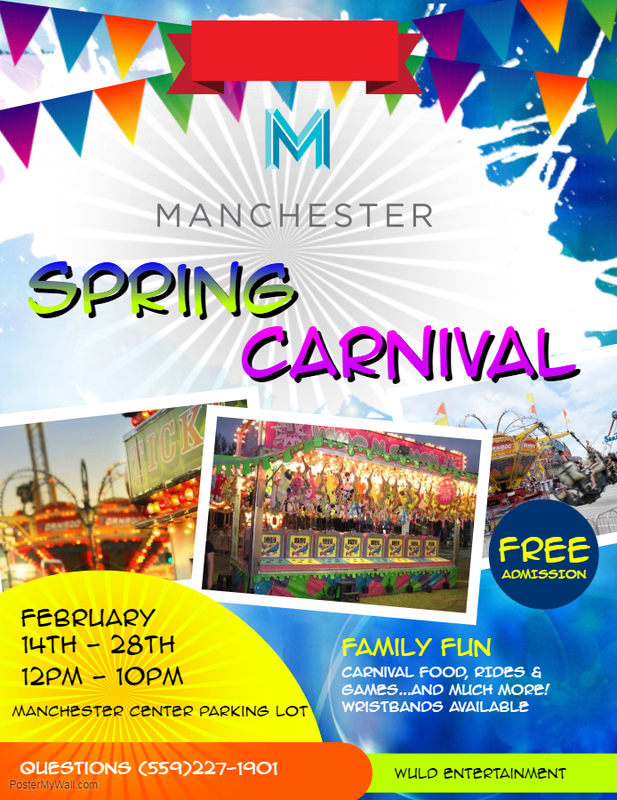 FREE Food, gifts, entertainment and fun!! Santa will be at his forest to meet, greet & take photos with good boys and girls! Inside the south end of the mall. 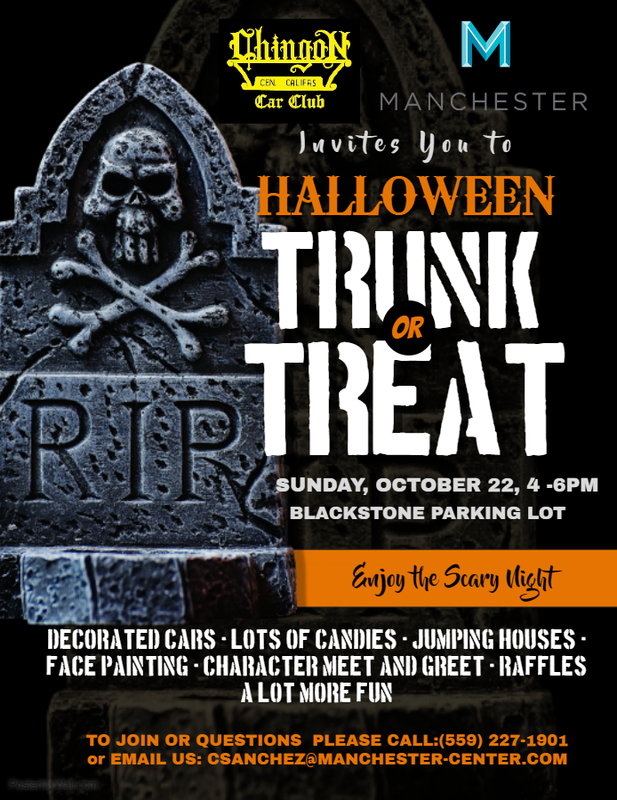 As we raise money for the Food Bank "We sand with humanity"
Join us for a spooktacular evening filled with costumes, face painting, bounce houses, raffles and Halloween decorated trunks ready to treat all treaters! Lowrider cars from ChingoN Car Club & Fresno Police Department will be in attendance! 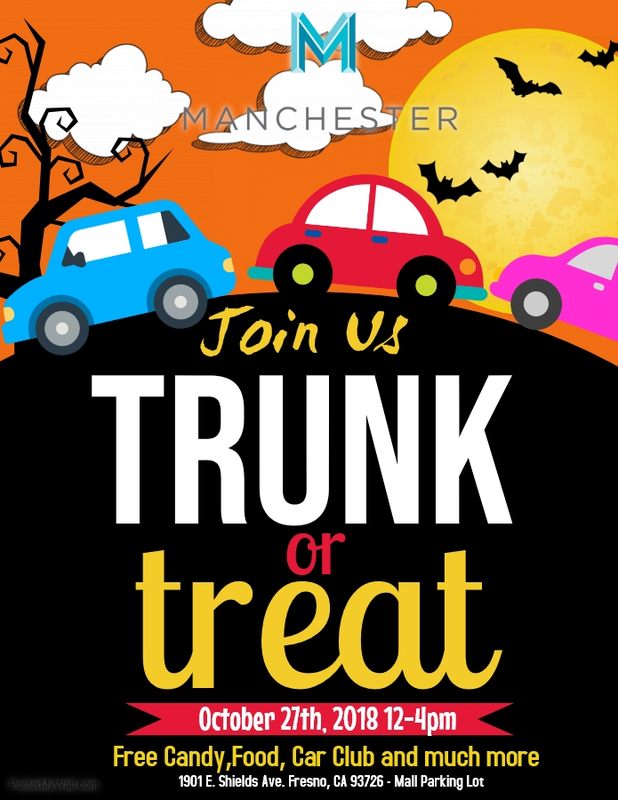 Mark the date this October 22, 10:00 am-4:00 pm at the Manchester Center for the health and wellness fair. Telemundo 51 Fresno, La Campesina 95.3 FM and Manchester center invite you to receive free medical services for the entire family. The event is completely free. We wait! Telemundo in partnership with Manchester Center are happy to bring you their 1st Annual community Health Fair of 2017. We know gift wrapping can be stressful and we are here to help! 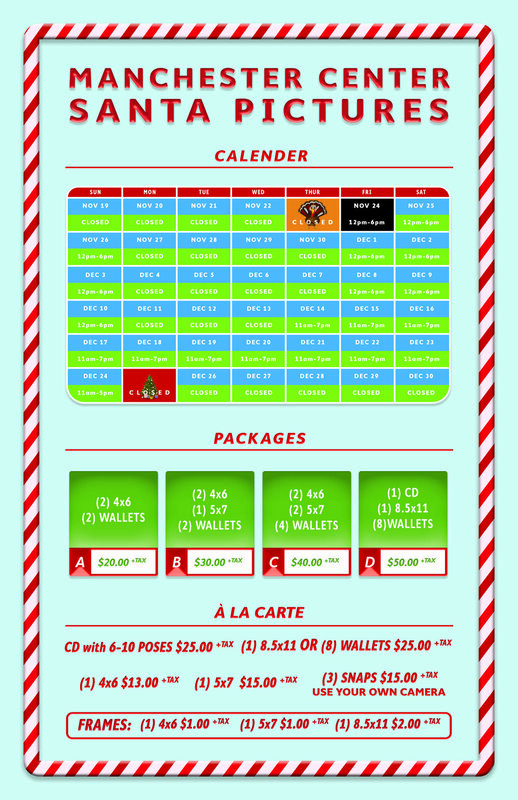 We have join forces with local Youth Programs to make this Xmas a lot more jolly! Roosevelt High School Bass Fishing Club will be providing Gift Wrapping at our North end of the Mall near Sears. We are excited to host the talented music students of Reedley College for a clarinet performance that will fill the mall with live Christmas music. 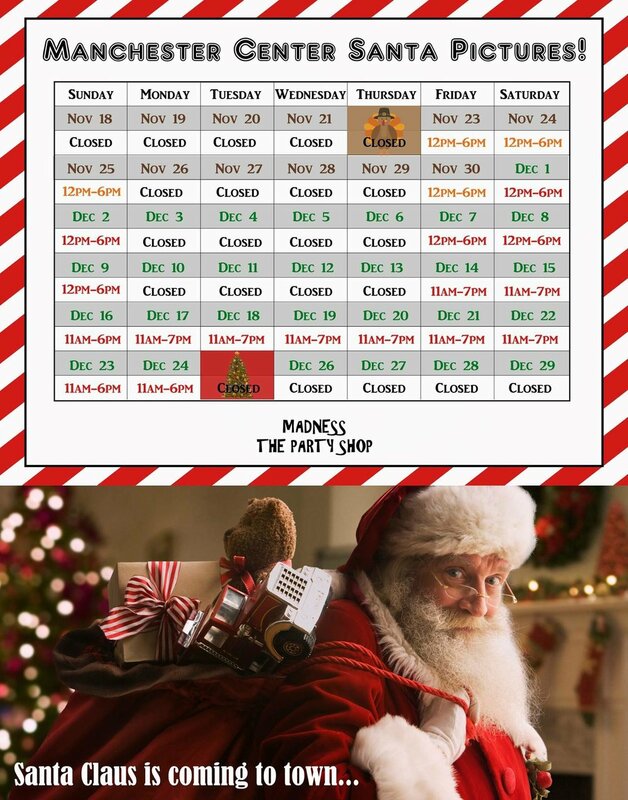 Santa has taken a break from the North Pole and decided to stop at Manchester Center for all good boys and girls to stop by, visit and take photos. Find Santa at his live lodge near the Carousel and get a FREE Ride with all photo package purchases.